From Occupy Wall Street to the murder of Mike Brown, progressive mass movements are reshaping the conversation. More and more people are rejecting the ideas of the global 1%. More and more people are challenging racist police brutality, violence and murder. People want perspectives that side with them, not those in power. We represent a growing list of speakers, performers and trainers involved in the ongoing struggles for economic, environmental and social justice. We are union organizers, campus and peace activists, radical professors, spoken word artists and more. Speak Progress is a non-profit, 501©3, project of the People Before Profits Network. The Speak Progress speakers’ bureau is uniquely working class and Speak Progress speakers are uniquely situated to lend their expertise and experiences to your struggles. Our speakers are not armchair revolutionaries. They are the people engaged on-the-ground doing the hard work of building a broad-based movement for social and economic justice. Want to have someone speak to your union or community organization on the impact of the Affordable Care Act? Some of our speakers were instrumental in building the national grassroots infrastructure that led to the passage of the ACA. Others have led the ongoing struggle for single payer health care. Trying to help local janitors, retail workers or state employees, for example, organize into a union? Many of our speakers have years of union organizing in their background. Others are full-time union officers, organizers and staff. Looking to address the historic roots of slavery, Jim Crow and racism in America? Our speakers – African American, Latino and white – are in the forefront in the struggles to build a society free of racism, in all of its manifestations, subtle and not so subtle. Not sure how to build momentum in your local peace organization around the continuing – and complex – conflicts emerging all over the world? Many of our speakers are leaders in the national peace movement. Some are veterans fighting for peace, while others helped to organize the nation’s largest peace coalition. 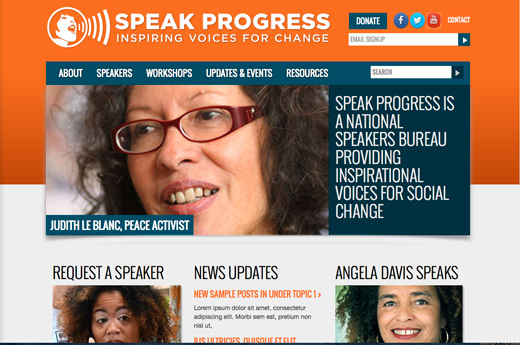 Speak Progress was created to build a national network of progressive speakers. We work with local student, religious, labor and community organizations to find speakers, performers and trainers to inspire, teach and entertain. 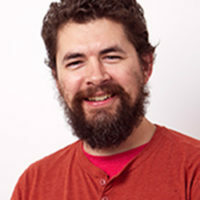 Stewart Acuff is the national organizing director for the National Union of Hospital and Healthcare Employees 1199. Formerly, he served as organizing director for the AFL-CIO, the nation’s largest labor federation representing over 12 million union members. Judith Le Blanc is the national field director for Peace Action, the nation’s largest grassroots peace organization, with chapters and affiliates in states across the country. From 2003-2009 she worked with United for Peace & Justice (UFPJ) coordinating national outreach. She served two terms as UFPJ’s national co-chair. Speaking topics include (but are not limited to): radical history; anti-racism; women’s equality; LGBT rights; the labor movement; access to affordable, quality health care; environmental justice; socialism and Marxism; campus organizing; the peace movement, among many other topics. The Speak Progress website is now public, and we are on Facebook. While we are still finishing-up some functionality issues, adding speakers’ photos and bios, and testimonials, among other things, I hope you will find it a valuable resource. Please contact us at info@speakprogress.org or at 646-556-7412. We look forward to speaking at your campus, community meeting or local union hall.